Riga, Latvia has a Western vibe with a difference. There is the modern Riga – dynamic and exciting – and the old Riga with its cobblestone streets and historic buildings. Cultural activities abound, including the Latvian National Opera, exhibition halls and museums, to the lively modern side offering trendy cafés, restaurants and excellent nightclubs. As with any beautiful city, it can be expensive, however there is a wealth of things to do which are either free or great value for money. Read on to learn more about this amazing city in our Riga travel guide. There are many wonderful department stores, such as Podium, offering a huge selection of different items, however for a true Riga shopping experience head to the Old Town. Here you will find narrow streets with wonderful little shops selling souvenirs and hand-made crafts. Visit one of the art galleries to see what the local artists are producing and perhaps pick up a great investment. Prices of imported goods can be very expensive, but local products including food and alcohol are still relatively cheap and there are bargains to be had. It is possible to travel around Riga in a variety of different modes of transport, such as trams, mini and trolleybuses, but nothing can beat strolling around on foot. Be sure before setting out that you have taken adequate cover such as Bupa travel insurance – important whenever you travel. A great free walking tour is available which is run by extremely enthusiastic local people who take the greatest of pleasure in showing you the real Riga; you will get to discover far more than just the usual tourist areas. The tour starts each day at 12:00, meeting in front of St Peter’s Church and operates on tips only, so feel free if you have had a good time. Visit the Centrāltirgus Market with its five separate pavilions housed in old German Zeppelin hangers, but remember to take your own shopping bags, as goods are generally sold without. Take a romantic stroll around Bastion Hill, a stunning park in the Bastejkalns area, or if you prefer something more active, then rent a bicycle, perhaps from “Gandrs” bike rental and do visit Fantasy Park which offers bowling, snooker, children’s playgrounds, party rooms and video games. On Friday and Saturday nights it becomes a nightclub that is popular with locals and visitors alike. Riga is an amazing city in northeastern Europe that will enchant and enthrall – guaranteeing that you will return very soon. Check Out Some of The Top Reasons to Visit Greece! Words aren’t enough to describe how beautiful the top reasons to visit Greece truly are. Greece has it all – from ancient ruins and fascinating history, to the breathtaking city of Athens. Of course, don’t forget the countless pristine beaches and islands rich in culture and heritage. You will truly take pleasure in the numerous sights to explore and experience in this beautiful country nestled in the heart of the Mediterranean Sea. Visiting Greece as a first-timer is really a life-changing experience because you will get to take in a unique place which exudes extraordinary charm and beauty. The country’s tranquil pace of life and marvelous panoramas are simply one of the top reasons to visit Greece that will awe and make you fall in love with the place over and over again. So, just sit-back and expect a journey that will linger in your heart for a lifetime. Trek the matchless terrain in Meteora. Dive into the virgin, still-to-be-delve-into coves. Swim into the globally recognized beaches such as Belgrina, Myrtos and Balos and be revitalized by their refreshing clear blue waters. Greece is one of the most affordable countries in Western Europe (even though it’s located at the southern tip of the Balkan Peninsula). So whether you’re a luxury vacationer, or looking to trace the path of Homer and Plato, there are cheap holidays for the Philosophers, spenders, and of course, the backpackers. Just look into the flight prices/accommodations and you’ll see! Owing to the country’s location in southern Europe, Greece’s favorable climate enables all tourists to have fun whatever time of the year they may choose to visit, regardless of the type of activity they may pick to engage in. It’s undeniable that one of the top reasons to visit Greece is for its mouth-watering cuisine. Greek food is healthy and the fare well-balance. In fact many diets are based upon the Greek way of eating, including the famous, Mediterranean diet. Dishes here are prepared meticulously and food is a way of life for the Greek people, and they are proud to share their centuries-perfected recipes with visitors. 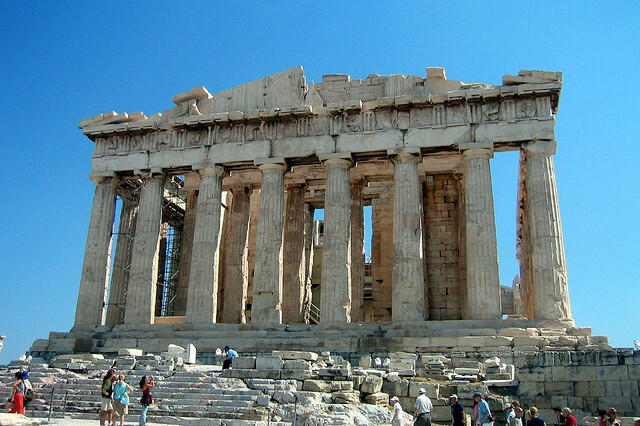 You’re vacation to Greece would be deemed incomplete if you haven’t been to the wonderful city of Athens. Through the years, many tourists have been attracted to experience the capital city of Greece (and chances are you’ll probably fly in here as well). Just in 2005 alone, around 6 million tourists spent their holidays in the city. One of the most famous tourist attractions is Acropolis Hill which houses the Parthenon as well as the Temples of Nike and Erectheion. These are just a few of the top reasons to visit Greece on your next great escape. You’ll just have to give it a chance to discover the rest! Bon Voyage! Europe might be the most popular continent for tourism with amazing beaches, cultures, cuisines, languages and of course cities. The most common cities visited by tourists, including: Rome, Athens, Paris, Barcelona, and other popular places, hold true beauty and a music in the air that no one can resist. But, behind these well-known wonders, there are cities that do not shine as brightly. It’s a shame, because these urban centers hold mysteries and a magic of their own that are dying to be revealed. The list below will enlighten individuals to the 5 most underrated European cities that truly need to have their voices heard! The capital of Scotland, Edinburgh, is dotted with astounding castles, with crumbling stones, that announce their age and endurance throughout time. Inside the walls, history replays the stories of the royals and their scandalous affairs. The air of this historical city rings with the clash of swords from the feuds between the clans. The stories of Edinburgh date back to the Celtic rituals and Christian fathers. The city is now bustling with thick-accented locals; yet, needs tourists who are interested in understanding one of the most mystical and romantic cultures known to man. Who could resist visiting a city that the real life Dracula, Vlad the Impaler, called home? Capital of Romania, Bucharest came into existence in 1459 and since then has grown into a beautiful city with elegant architecture. The wide tree lined boulevards of this city earned its name as the “Little Paris” for its grandeur. You can’t visit this city without going to see the towering Arch of Triumph and the stunning Cantacuzino Palace that were both built in the early 1900s. Bucharest is definitely a fun place for a city break with its unique food, culture and awesome nightlife. Oslo was founded by King Harald Hardrade and became the capital of Norway in 1300 AD. Tourists can enjoy a tour through the Royal Palace or take stroll through the medieval castle, Akershus. The numerous parks and museums tell stories of Oslo’s interesting past. The devastating fire of 1624 left ruins for tourists to visit and lands that were turned into farms. Unfortunately, the fire ruined most of medieval Oslo; however, you can research the history and see it displayed in their museums and enjoy the beautiful modern city that emerged from the ashes. This beautiful capital of Estonia lies on the southern coast of the Gulf of Finland. The first fortress ever built was in 1050; however, it is believed that this city dates much farther back. The city has many wounded memories from World War 2 when the Soviets bombed it extensively in order to regain it from the Nazi Germans. Today, with its towering glassy buildings, its 400,000 residents have made it a charming and rustic town. Tallinn has some of the most beautiful cathedrals found in Europe. Visiting inside them will take you back to a simpler time that was uprooted by devastating war. 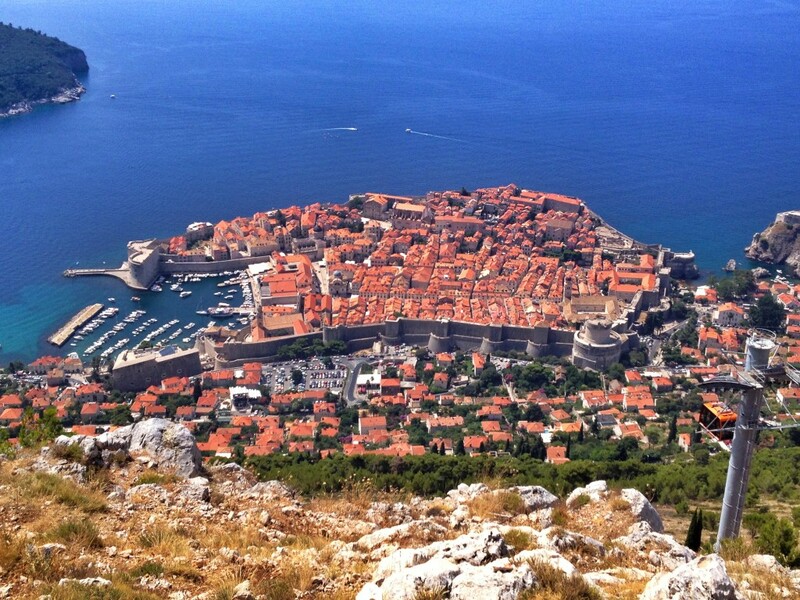 Dubrovnik is a prominent tourist town with its glistening clear blue beaches. The beauty of its essence has had it nicknamed as the “Pearl of the Adriatic.” When visitors come to this stunning place, they must visit the most beautiful church possibly ever built, the Church of St. Ignatius. The artwork can take anyone’s breath away, instantly. With its beaches and a multitude of synagogues, this tourist town is incredibly humble and the perfect place for a comforting vacation. There are plenty of top reasons to visit Spain. And if you just consider how colorful and long-standing its history is, you’d be convinced of its worth as a tourist destination. Tourism in Spain developed around the 1960’s and 1970’s. And back then, the country was herald as a great summer vacation spot. Today, it presents an array of alternative tourism significance, which attracts as many as 53 million visitors per year (allowing it to earn a whopping $53 billion tourism direct GDP. Spain is essentially a Mediterranean country that is run by a constitutional monarchy. And it was among the countries the nations that pioneered in world exploration, thereby making it a very influential force as far as culture and religion goes. Many of the tourist attractions in other countries, especially the Caribbean and Pacific involve remnants of Spanish architecture, which are often represented by town halls, forts, churches and old houses. The top reasons to visit Spain are no different. And here, folks can actually appreciate a more sophisticated depiction of its artistic side with landmarks like the Palacio de la Diputacion in Bilbao, Cathedral of Seville in Seville, Fort Sebastian and Santa Catalina in Cadiz, and the Old City of Cordoba. El Escorial is among the most interesting places to visit in the nation’s capital as it was once the center of the Spanish Empire. And in this vicinity, people will get to appreciate multiple facets of Spanish construction. Also known as the Monastery or Royal Seat of San Lorenzo de (El) Escorial, this massive building functioned as a religious sanctuary, royal palace, museum and school. 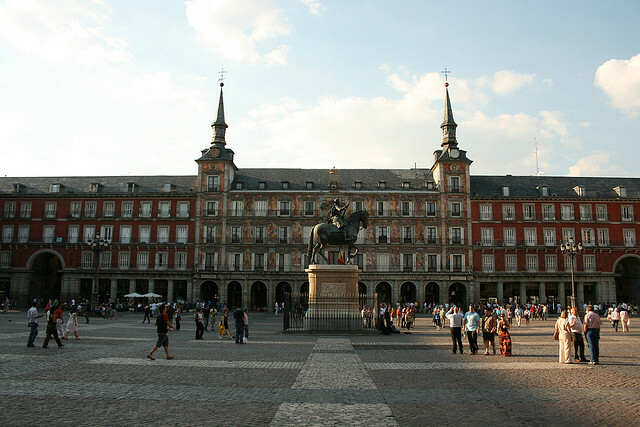 It is a complex made up of a number of well-designed buildings, influenced by 16th and 17th century aesthetics. And it is surrounded by a vast woodland area, which served as the royal family’s hunting grounds. It was inaugurated as a UNESCO World Heritage Site in 1984 and currently attracts as much as 500,000 guests. And the best part about it is that it’s only 45 kilometers away from other highlights located in Madrid. If you are interested in more nature-centric destinations, you could schedule a trip to Almeria, where you could indulge in local picturesque natural beaches. As mentioned earlier, one of the top reasons to visit Spain has always been its summer getaways. And Almeria has the best lineup in the world. Las Salinas and La Almadrava de Monteleva are among the undisturbed coastlines it affords people. And as an alternative, Valencia also has a nice beach waiting for foreigners to try out. More commercialized strands are found in Coastal Blanca, Brava and del Sol. And if you are particularly fond of pairing water-sports with that of party facilities, Ibiza and Mallorca are definitely some of the places you should include in your itinerary. If you want to read some more about these places, check out reviews from On The Beach. Sierra Nevada is another one of the top reasons to visit Spain that is serving ecotourism interests. But unlike the previous, this mountain range in Andalucia offers guests more rugged outdoor experiences, from hiking to climbing, canyoning, paragliding and skiing during the winter. Tenerife is an overseas territory of Spain that also serves tourists the same set of activities, but pairing it up with spectacular beaches and a lively nightlife, making it the ultimate holiday retreat.